Reverse floorplan, very open, with vaulted ceilings on both levels; gets lot’s of natural light. Large sun deck off living room + huge totally private roof deck. 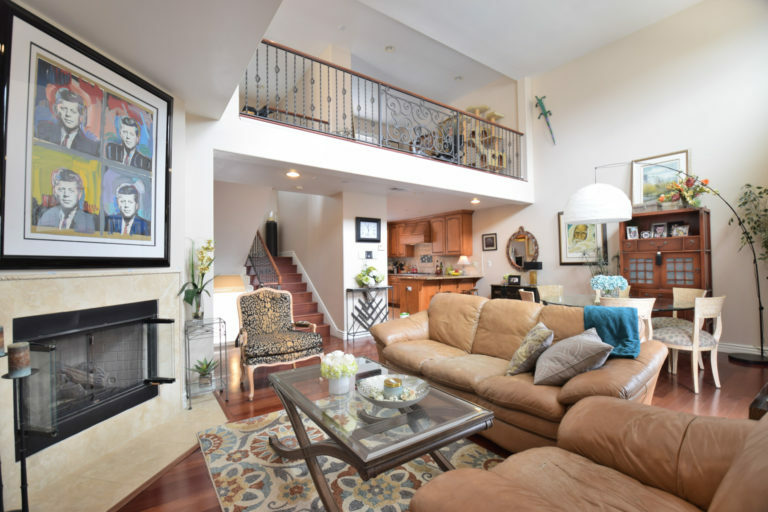 Loft (den, gym, office…), large private master with spa tub, separate shower and his/her closets, cherry wood flooring, granite counters, stainless appliances, spot lighting, wood burning fireplace. Super low $75 HOA dues. Quiet street, 80 walkscore: walkable to Perry Park, Washington Elementary and Galleria. 1 mile to 405, 2 miles to beach. Excellent schools (8,8 and 9 on GreatSchools). Zillow and Redfin valued over $1M.